Some of us have gotten into a bad habit when researching topics on the internet. We just Google it! There are better ways of searching when looking for science activities to facilitate and/or develop for your library though. Good informal science resources may not make it to the top of Google search when you ‘just Google it’ (like when you search for other resources through a major search engine). It is sometimes hard to break the habit of going for the quick and easy way to search, but we should try because we know of many better sites to trust. 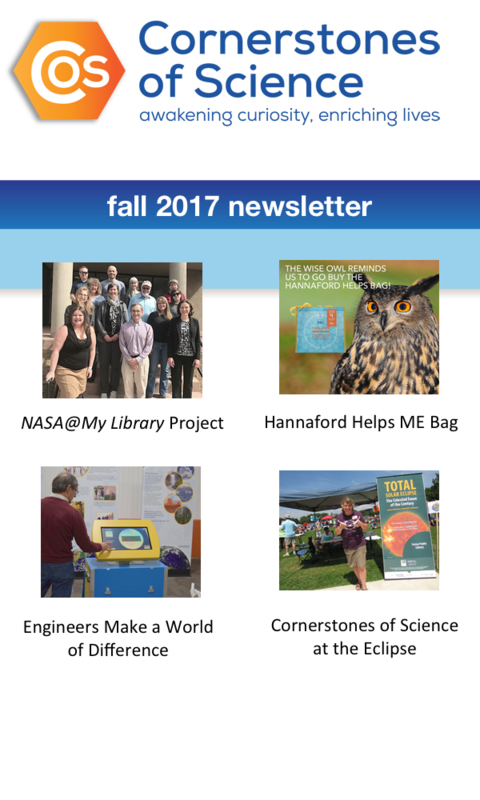 There are always a number of good linked resources in the Cornerstones of Science e-newsletters and on the website. Below are some other specific sites to use so that maybe you can have a few go-to places in the future instead of automatically Googling it. Whether you like to find that perfect activity that is already fully formed or you like to develop your own activities, but need to find inspiration and materials, there are many good places to look to help you facilitate or develop science programming.